Does the new Apple Store App set the bar for mobile payments? Apple has officially launched version two of its Apple Store App, enabling users to shop for Apple goods—and items from blessed partners—right on their Apple mobile devices. The first version of the Apple Store App was more of a feel-good convenience for Apple Store visitors than anything else: users could manage Genius Bar appointments, sign up for classes and training, and pull up details on products Apple carries. However, version 2.0 significantly ups the ante with two key new features: Personal Pickup—which enables users to order in-stock items and have them ready for pickup at a store within an hour—and EasyPay, which lets users buy items in an Apple Store literally by snapping a picture of its barcode. Although it’s not a general mobile payment solution—and it’s U.S.-only for the time being—the new Apple Store App represents Apple’s first true foray into mobile commerce. 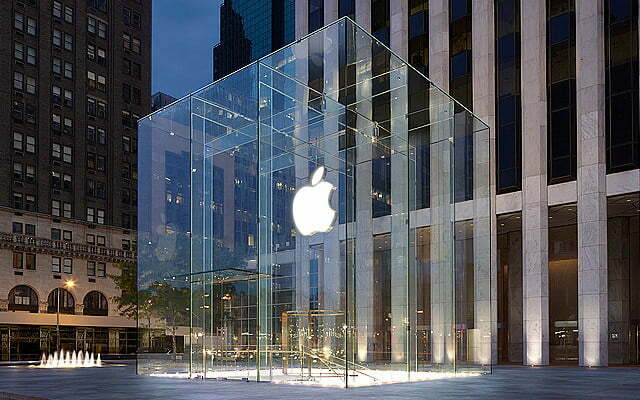 Given the number of people with iPhones who visit Apple Stores, the company could greatly influence the field. Is Apple setting the bar for mobile payment systems? Or will the ideas behind the Apple Store App remain Apple-only? From a mobile commerce perspective, the EasyPay feature is the key element of version two of the Apple Store App. The idea is simple: if users see something they like while visiting an Apple Store, they can just pick it up, snap a picture of the product’s barcode with their iPhone camera, and complete the transaction in the app using the credit card associated with their Apple ID. The app requires users enter their Apple ID password to complete the transaction, but, at that point, customers can turn around and walk out the door with their new goods. No human action or interaction required. EasyPay also enables users to pull up product information, reviews, specs, and ratings by snapping a picture of the barcode before committing to a purchase. Early reports regarding EasyPay had Apple prepared to let customers just walk out the door unimpeded with their EasyPay purchases, but a quick check with local Apple Stores indicates employees plan to confirm transaction receipts before users leave, at least for the time being. EasyPay purchasing also only applies to select goods in Apple Stores; folks who want to buy higher-priced items (looks like that includes all Macs and items like Cinema Displays) will still have to deal with salespeople. There are a few gotchas with EasyPay. For one thing, while the Apple Store App works on any iPhone, iPad, or iPod touch that can handle iOS 4.2 or later, the EasyPay feature only works with the cameras on the iPhone 4 or iPhone 4S—iPhone 3GS users need not apply. The credit card associated with a user’s Apple ID is also the only payment option. EasyPay customers can’t decide they want to use another credit or debit card, or pay for the purchase some other way—that’ll involve old-school point-of-sales transactions. Further, Apple IDs are problematic for some folks: many people have Apple IDs that aren’t associated with a credit card, or they pay for iTunes purchases using something like a MobileMe account. As iCloud has rolled out Apple has tried to unify Apple IDs with MobileMe accounts, but the results aren’t perfect—or acceptable—for all customers. EasyPay’s ease of use stems directly from Apple already having a tremendous base of user accounts associated with credit cards—thanks to iTunes. To offer EasyPay, Apple doesn’t have to invent a new way to process credit card transactions; it just has to offer a simple way for existing customers to make new purchases. That’s a far cry from creating a generalized mobile payments solution that would work at any merchant that accepts credit cards—which is the goal of solutions like Google Wallet. EasyPay also benefits from Apple controlling the full experience: EasyPay is only scanning products Apple has decided to sell, and Apple also controls the barcodes used in its stores. But there’s little denying the appeal of EasyPay: pick up an item, scan the barcode, and walk out the door. Although the capability is limited currently to the iPhone 4 and iPhone 4S, it doesn’t require specialized hardware like NFC or a credit-card-company-approved Secure Element within a phone. Similarly, it doesn’t rely on GPS-based “geofencing” technology like Square Card Case that discloses a user’s location—and sets them up for a flurry of advertisements and offers. Like so many of Apple’s other popular offerings, the user is in control. Even if EasyPay’s approach isn’t a general mobile payment solution, it could have tremendous appeal to companies that have large pools of existing customers with credit card information. Obvious candidates include retailers that have a strong online presence as well as retail operations: think along the lines of Best Buy, Walmart, Costco, and Barnes & Noble. But there’s no reason the basic idea can’t be extended much more broadly: firms like Google and Amazon—and mobile operators like AT&T and Verizon with their millions of on-contract subscribers—have to be giving it some thought. Personal Pickup is another new feature of the new Apple Store App — users can place orders for merchandise via the app, and (so long as the items are in-stock) have the items ready for pickup at their local Apple Store within an hour. Like EasyPay, users pay for Personal Pickup orders via the Apple Store App, and—again—the only option is the credit card associated with a user’s Apple ID. However, users can specify the store where they’d like to pick up the order, rather than restricting pickup by location; that way, if a user is traveling or will be somewhere else in a few hours, they can set a pickup point at an appropriate store. The app tells users whether the items they want are in stock, and users can track the status of their orders via the app so they’ll know when their new stuff is available. I’m sure there are cases where Personal Pickup will be a lifesaver for some people—I’ve received many a frantic message from friends asking where they can buy a PowerBook power adapter (stat!) over the years—although I’m not convinced it’ll be a retail winner for Apple. Perhaps I just don’t live in an urban-enough area, but in my experience Apple Stores aren’t terribly common or convenient for many customers. (There are just over 300 stores worldwide.) If someone is going to all the trouble of setting up an order online—whether via the Web or an App— it’s only one more step to have it shipped to his or her doorstep. Furthermore, when ordering a passel of Apple-related goods, I can’t think of a single occasion when everything has been available at an Apple Store. If I have to place multiple orders anyway, trekking to a retail store to pick up one of them has even less appeal. EasyPay and Personal Pickup demonstrate the kind of real-time control Apple has over its retail operations. Apple not only knows what it has in stock at any Apple store, but promises to be able to assemble potentially-complex orders for users and have them ready within an hour. With EasyPay, they’re essentially giving customers interactive access to their inventory system: I think it’s a safe bet that if a customer uses EasyPay to purchase the last iPad case at a particular Apple Store, Apple’s system will immediately reflect that the item is out of stock at that location. Apple carries a very limited inventory compared to most retailers—and getting an Apple-related product into Apple Stores is often no easy feat—but Apple’s ability to offer these features demonstrates the sophistication of their retail efforts. The Apple App Store app is also all about existing Apple customers and Apple Store “power users.” Apple promotes the app as a way to avoid checkout lines and get in and out of the store quickly. Put another way: the app aims to make returning Apple customers into self-service customers, enabling Apple Store staff to focus on new customers, special cases, training, and things other than swiping credit cards and carrying through yet-another transaction for earbuds or an iPhone case. However, it’s probably important to look at things like EasyPay as Apple’s first run at mobile commerce, not its endgame. If future iPhones adopt NFC technology—and there’s every indication that, eventually, they will—it doesn’t take much speculation about item-specific RFID tags to see where EasyPay might go and how it might become a more generalized approach to mobile commerce that could be embraced by many retailers.